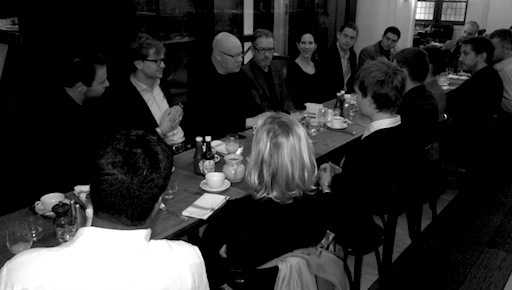 The second of The Kernel’s discussion breakfasts, in partnership with Forsyth Group, was a great success. This morning, The Kernel, in partnership with our friends at Forsyth Group, hosted the second in a series of six exclusive discussion breakfasts. Guest of honour and Mashery chief executive Oren Michels spoke about the significance – and pricing models – of Software-as-a-Service (SaaS) businesses with a hand-picked audience of 25 investors, entrepreneurs and experts. A general discussion followed, fuelled by a full English and lubricated with mimosas for those brave enough to get merry with us at 8 a.m. Conversation at The Kernel’s discussion breakfasts is strictly off-the-record. We’re also announcing today that the next Kernel discussion breakfast will take place in February, on the subject of “gaming and gambling”. The breakfast is timed to coincide with the ICE conference in London. We’ll release more information about it in the new year. We expect to host chief executives of some of the biggest gaming and gambling companies on the planet, along with investors who are active in the space. We’d like to thank Brett Putter and Forsyth Group for their support and our guests for coming along and sharing their insights.